A former Ottawa fertility doctor who resigned from the Order of Canada in 2014 is facing a potential class-action lawsuit alleging he inseminated at least two women with his own sperm. 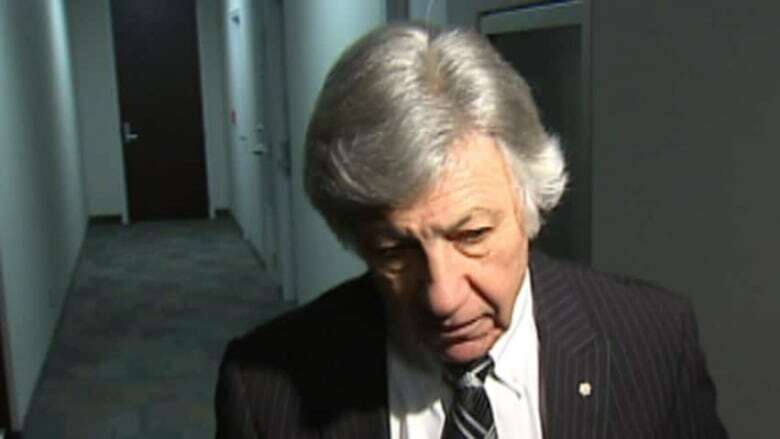 Norman Barwin is alleged to have carried out the inseminations without the women's knowledge or consent, according to a statement of claim filed Tuesday by Ottawa law firm Nelligan O'Brien Payne. The class action has yet to be certified by a judge, an important step for the lawsuit to proceed, and allegations against Barwin have not been proven in court. According to the statement of claim, in 1989, Davina and Daniel Dixon approached Barwin, who at the time was the owner of the Broadview Fertility Clinic in Ottawa, for help in conceiving a child. Their daughter Rebecca was born the following summer. "When I was younger, I was often asked if I was adopted. And we laughed about those situations," Rebecca Dixon, now 26, told CBC News on Wednesday. "I don't physically look a lot like my parents, but I look a little bit like my mother's mom ... I was never really concerned that there was any problem." In February 2016, the family's doctor suggested Rebecca and Daniel undergo a blood test due to the rarity of a brown-eyed child being born to blue-eyed parents. The test result showed Rebecca had type O-positive blood and Daniel had type AB blood, proving it was impossible they were father and daughter, according to the statement of claim. "I remember just this wave of shock going through my body," said Dixon. "It's not something that you ever would imagine. And I know I was immediately concerned for how my dad would feel, his welfare." Dixon said an online DNA test showed that her bloodline was almost 60 per cent of Ashkenazi Jewish heritage. Barwin is a well-known member of the city's Jewish community. Last month, according to the statement of claim, Dixon's DNA was compared to that of another woman, 25-year-old Kat Palmer, who had also been conceived at the Broadview Fertility Clinic. When Palmer's and Dixon's DNA were compared last month, the test results "concluded that they were half-sisters by way of the same biological father," said the statement of claim. In 2013, Barwin was suspended by the College of Physicians and Surgeons of Ontario for two months after he admitted he inseminated four women over a 21-year period with the wrong sperm. Karen Hamway, Barwin's lawyer, refused to comment on the new allegations, telling CBC News that a legal statement of defence on Barwin's behalf would be filed "in due course." Peter Cronyn, the Ottawa lawyer who filed the class-action lawsuit, said his team has now asked Barwin to willingly provide his own DNA for analysis. "I would hope that he would. But if he doesn't, we'll look to the courts to get a sample," Cronyn told CBC Radio's Ottawa Morning on Wednesday. "I think in these circumstances, the air needs to be cleared for everybody who may have a concern about whether or not the DNA of their children is what they expected, and if indeed there's any connection to Dr. Barwin." Cronyn added that the two women at the heart of the case were dealing with "an incredible mixture of emotions." "There was some joy that they were able to find half-siblings, and they've connected and they're looking forward to meeting each other," Cronyn said. "But there's so many other angles to this which are problematic." As for Dixon, she said she's trying to take the revelation that she may genetically be Barwin's daughter in stride. "It just adds a new thread to the story — a complicated thread that's difficult in some ways, and with some positives. It's another part of my story."